Pine Tree Nursery & Landscaping has provided high-quality, professional landscape design, build and maintenance services on Cape Cod for more than 35 years. Our reputation is built on our commitment to the execution of high quality projects, and our personal service ensures that your selection of landscaping plants and materials will beautify your Cape landscape for years to come. Pine Tree Nursery & Landscaping is a full service landscape contractor with a full menu of landscape installation services—from new construction of flower beds, patios and walls to renovating existing gardens. We also provide professional landscape maintenance services—from garden maintenance and lawn care to seasonal clean-ups. If you need help just getting started, Pine Tree Nursery & Landscaping offers professional on-site landscape consultations and creative landscape designs. 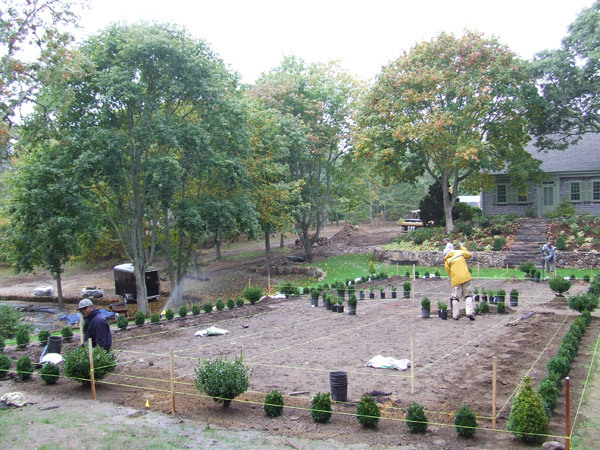 Whether you are in Chatham, Harwich, Brewster, Mid or Lower Cape Cod, we’ll evaluate your property and discuss your goals and dreams for your landscape, then develop a complete landscape design to suit your objectives. We also offer an expertise in conservation issues. Many Cape property owners’ land is in sensitive habitats and wetlands where native plant species and invasive plants are of concern. We can help manage the unique requirements of these areas. Call us today to discuss your needs: 508-432-8878. Or email us.